Here the most used functions are grouped for quick access by one click. 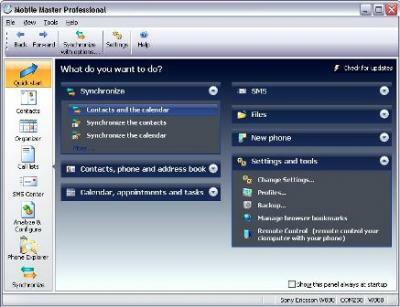 - In Outlook a button in the edit window for contacts, appointments and tasks will be added. By pressing that button the contact, appointment,... is stored in Outlook and it is transferred to the phone, all in one click! Many import and export filters, e.g. one click to export to excel or open office. - to If you install a new version or update an have an license older than one year you will have only the light edition.